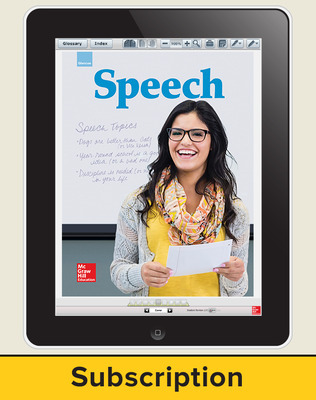 Glencoe Speech is designed to help students better understand and manage the role of communication in their daily lives. In this program, students learn communication theory and practice everyday communication skills. 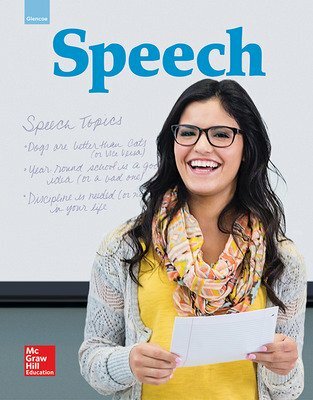 Glencoe Speech covers a full range of speech topics including interpersonal communication, listening, interviewing, extemporaneous speaking, preparing and presenting speeches, debate, and parliamentary procedure. The text emphasizes that communicating also entails making responsible ethical choices. 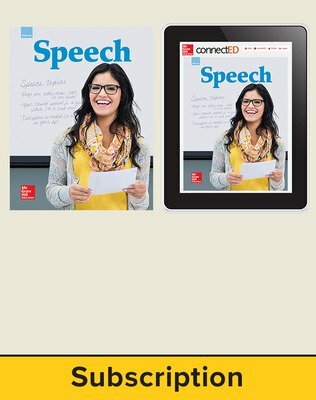 Features and activities throughout Glencoe Speech help students gain the skills and confidence they need to overcome obstacles and succeed in their efforts to communicate effectively. Sample student speeches are provided thoughout as well as speeches from some of history’s greatest speakers.